Acid etched glass is kind of translucent glass with satin finish. The acid etching finish can be done on clear glass, ultra-clear glass, tinted (colored) glass, painted glass or on mirrors. Usually one side of glass is treated with high quality acid etching (Acid-frosted) to produce a satin finish. If needed, both sides can be acid etched. The acid etched glass offers high level of light transmission than sandblasted glass or figured glass. We have advanced equipment to clean the acid etching liquid, in this way, there is no pollution to the environment. -Interior uses: Partitions, floor tiles, shelving, lighting, counters, and many other types of furniture (in kitchens, bathrooms, offices and so on). -Exterior uses: double glazing for facades, balconies, doors and more. 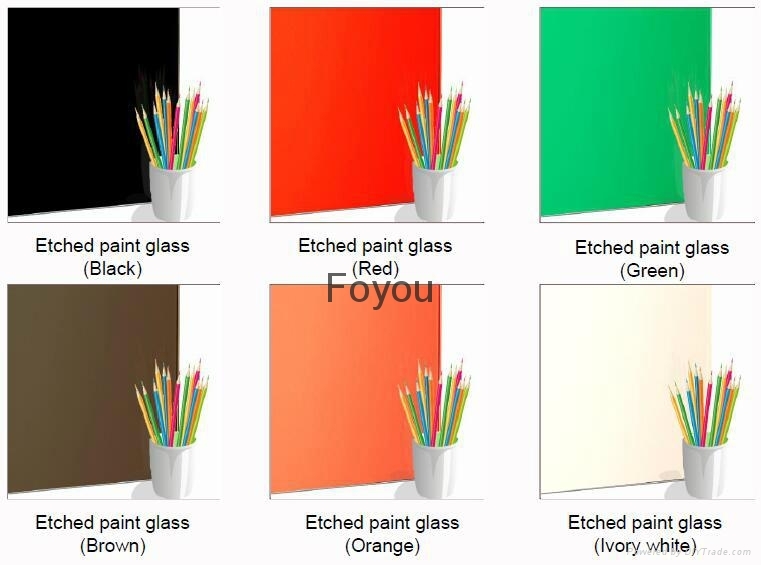 Color of Mirror: Silver, bronze, grey, green, blue, pink, etc. 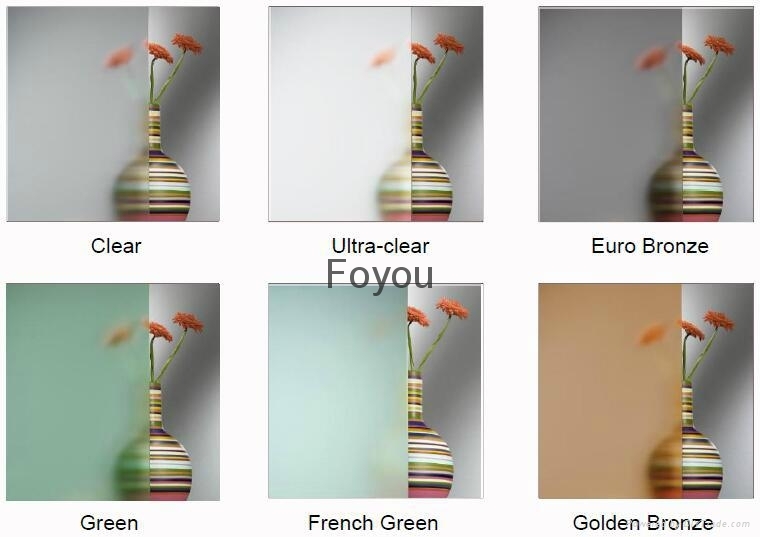 Advantages︰ Translucent, neutral satin-finish glass, more transparent than sandblasted and figured glass. Highly stain resistance, protect against fingerprint and easy to clean with clean water only. High level of light transmission: as high as 90% depending on the thickness of the glass.